Wordless Wednesday: Save yourselves. I got this. | Go. Do. Be Dog. What’s it like to vacation with three big dogs, you ask? You ever unpeel a banana to find a dog hair inside? Yeah, it’s a lot of that kind of thing. Posted in Euka II, vacation, Wordless Wednesday. Bookmark the permalink. 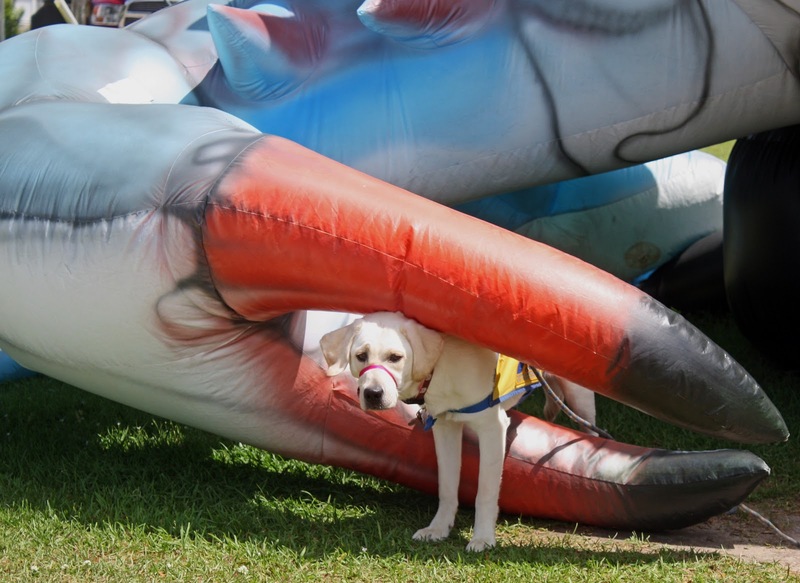 That's certainly a spot to find yourself in, that's one extra large crab claw… Happy Wednesday! WOW! that's HUGE. Looking forward on your upcoming post. Happy BlogPaws WW. Golden Woofs! Great photo! What a prop!